Order your copy of the new Everblue CD (and a receive a FREE digital download NOW) from the award winning JP Williams Blues Band at the special price of just $9.99 (Reg. price $12.97) plus Shipping. Orders will be shipped next business day. Special pricing packages featuring JP Williams Band Tee Shirts and previous CDs (and included immediate Digital Downloads) available NOW! Plus click the "Shop Now" button below to order advance tickets to JP & Ekat's Destination Blues Live CD Concert Event September 28th, 2018 @ The Listening Room / Exchange in Bloomsburg, Pa.
JP Williams first started performing acoustic Folk & Blues music in college coffee houses and local nightclubs in Wilkes-Barre, Pa. He then moved to NYC where he performed for several years at many local famous nightclubs in the city with other aspiring singer/songwriters and musicians. He continued to write songs and perform after moving back to Pennsylvania, both as a solo act and with many successful local bands, Now he performs regularly with an extraordinary group of talented musicians. 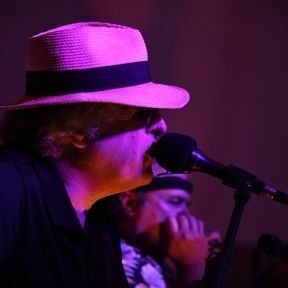 JP Williams Blues (Duo/Trio/Full Band) and is currently enjoying success performing at many festivals & local nightclubs throughout Northeastern PA.
JP does not try to mimic or duplicate other's performances but rather is committed to creating his own original music, as well as new interpretations of the iconic recordings of the roots of Chicago, Delta, and Country Blues. 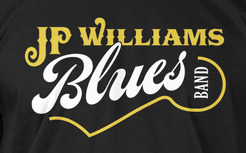 His exciting live performances and studio recordings yield the unique experience that is “JP Williams Blues”. Our new CD, Everblue, a collection of 10 all new original songs composed by JP Williams will be officially released in October 2018,. But you can order a pre-release copy of the CD here now at the very special price of only $9.99 with FREE shipping. CD's will be shipped as soon as the are delivered and are not subject to the "official" release date.